Love it or loathe it, Valentine’s Day will soon be upon us. 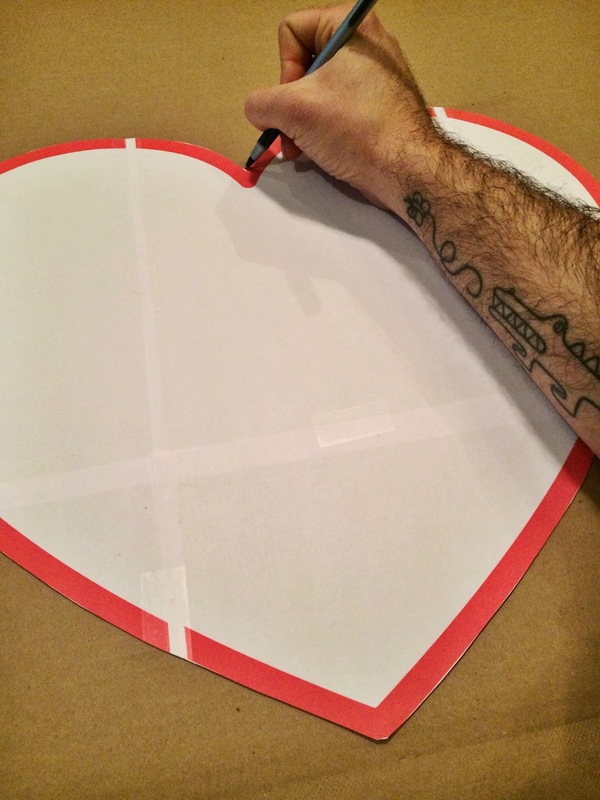 I think this next project is perfect for both lovers and haters of Cupid’s holiday. 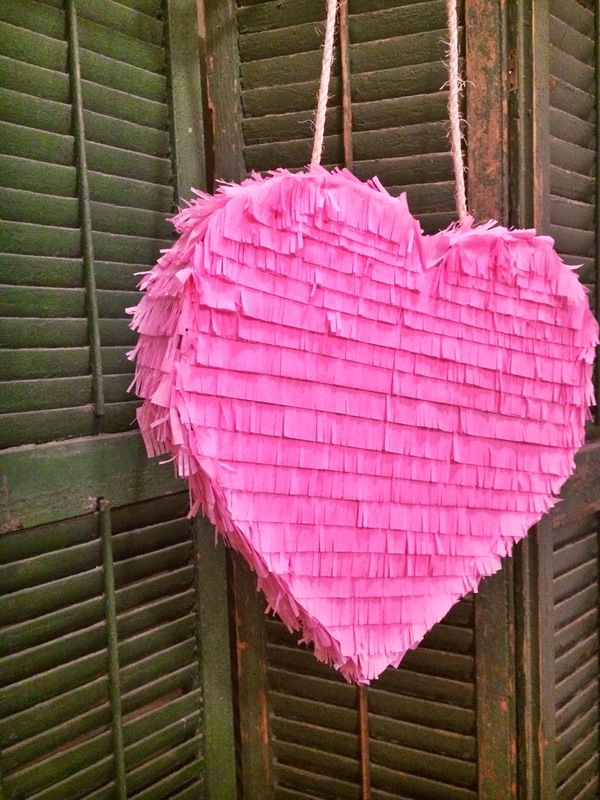 Lovers will swoon over this heart shaped piñata. 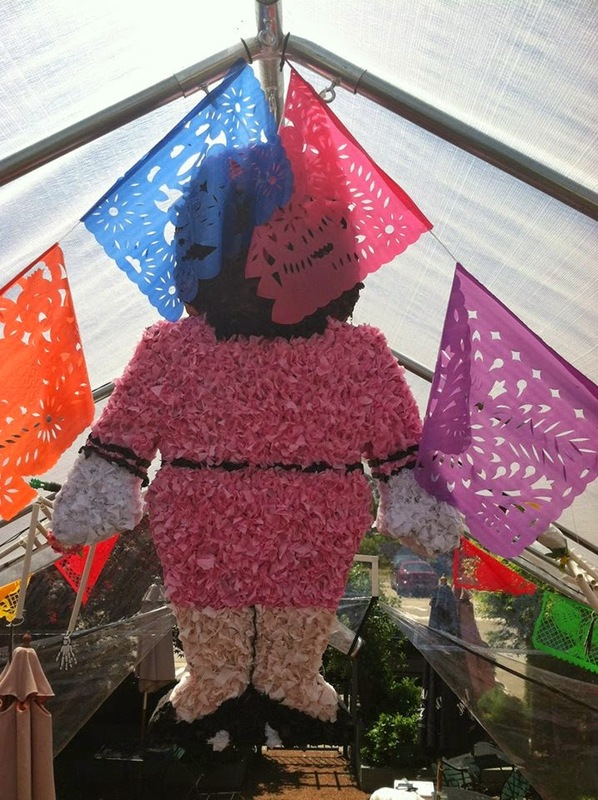 Haters can release aggression by beating this piñata to a pulp. For extra satisfaction, I recommend taping a photo of an ex lover onto yours. Everyone wins with this craft! 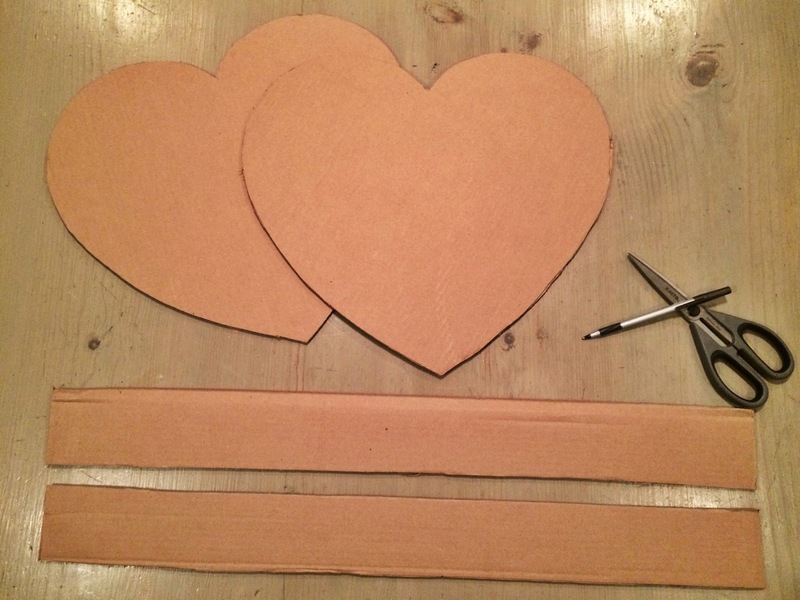 First, using your heart template, trace out two hearts onto your cardboard. 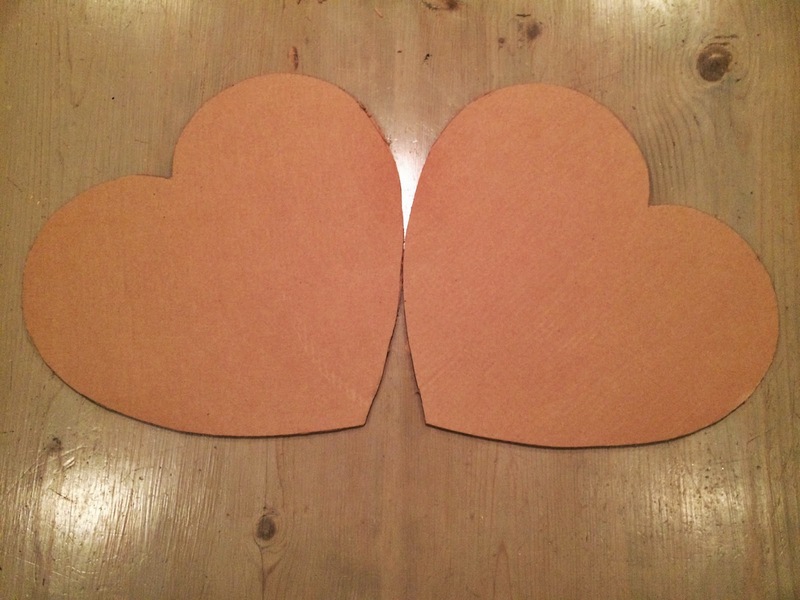 Cut both hearts out. 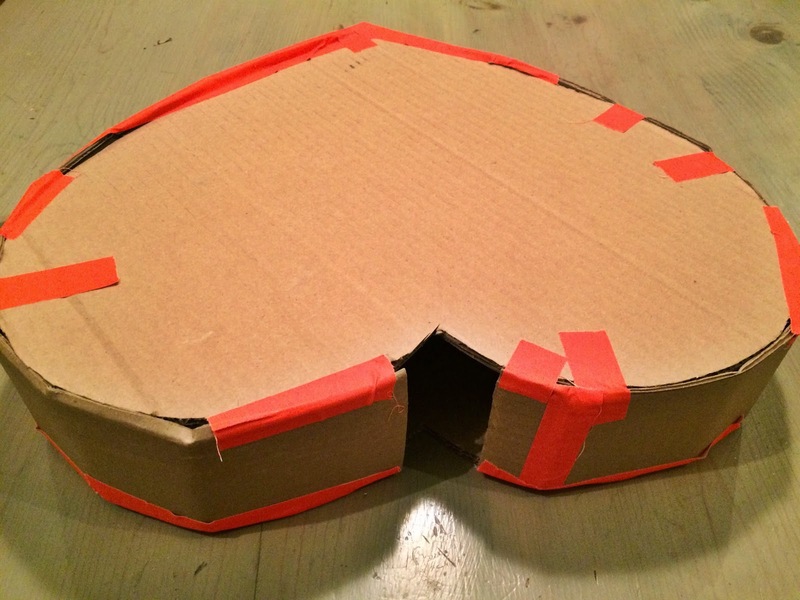 These will serve as the front and back sides of your piñata. 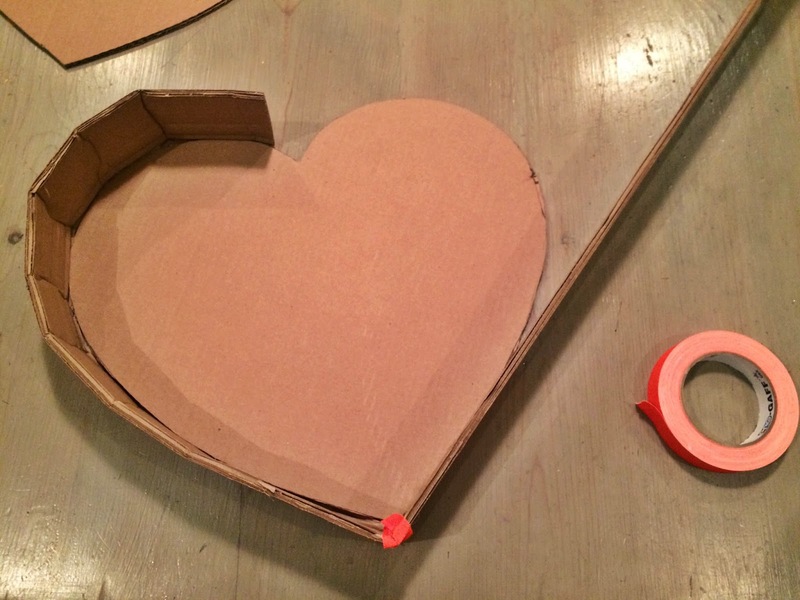 Depending on the thickness of your cardboard, you may need to use a box cutter. Set aside. 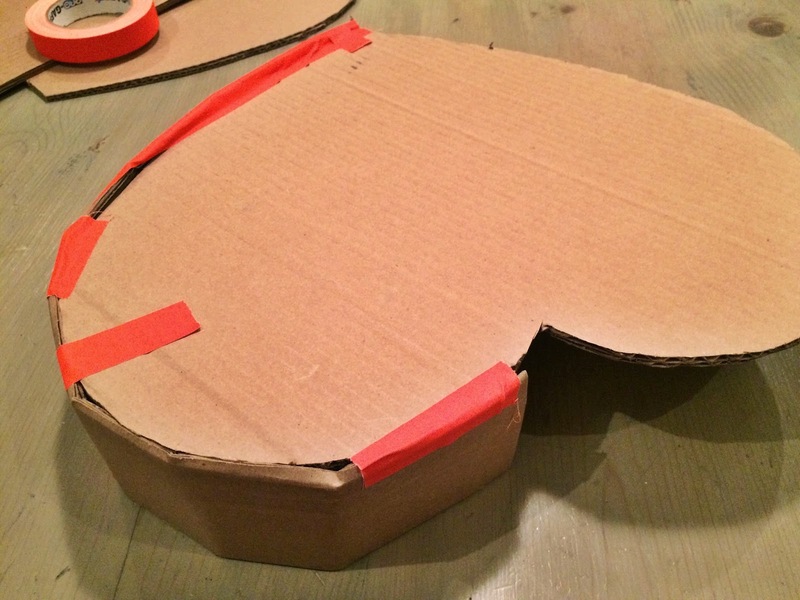 Next, cut out a few strips of cardboard, these will form the sides of your piñata. Your strips should be the same width. I cut mine to 3″. 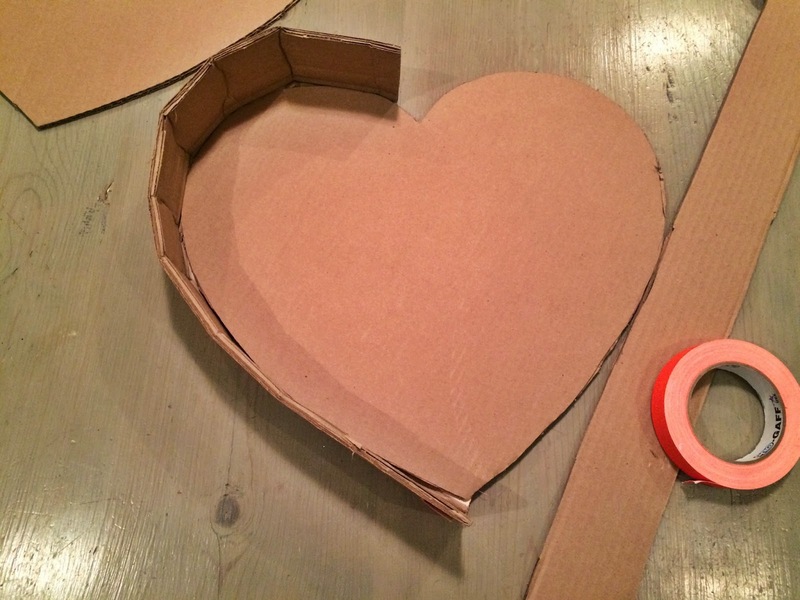 Using the strips of cardboard, start taping the sides on the first heart. 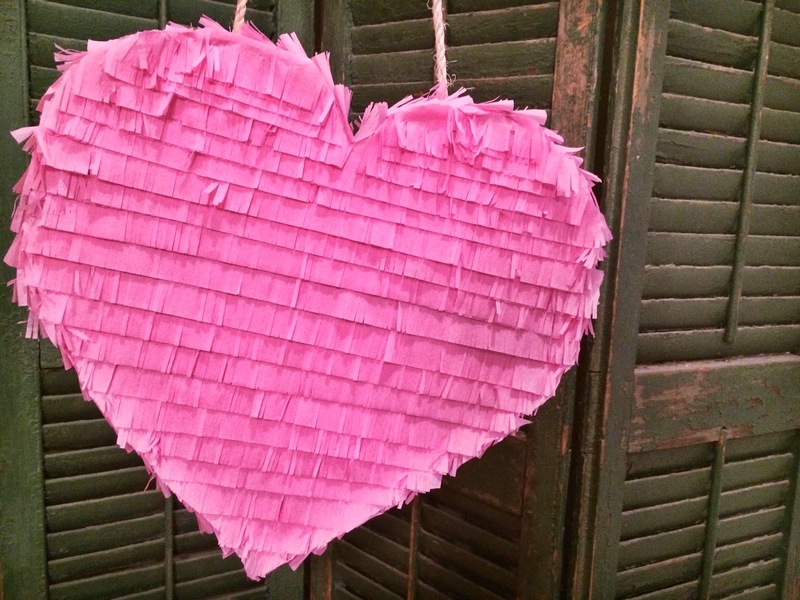 You’ll want to leave a cutout at the top of your piñata if you plan on filling it with goodies. 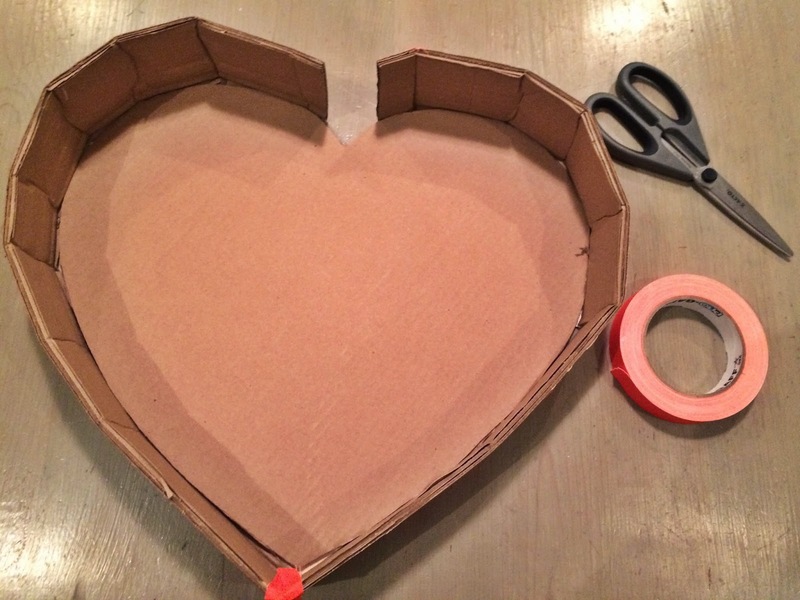 Next, tape the other heart to the top of your cardboard sides. You’ll need to hang this beauty! 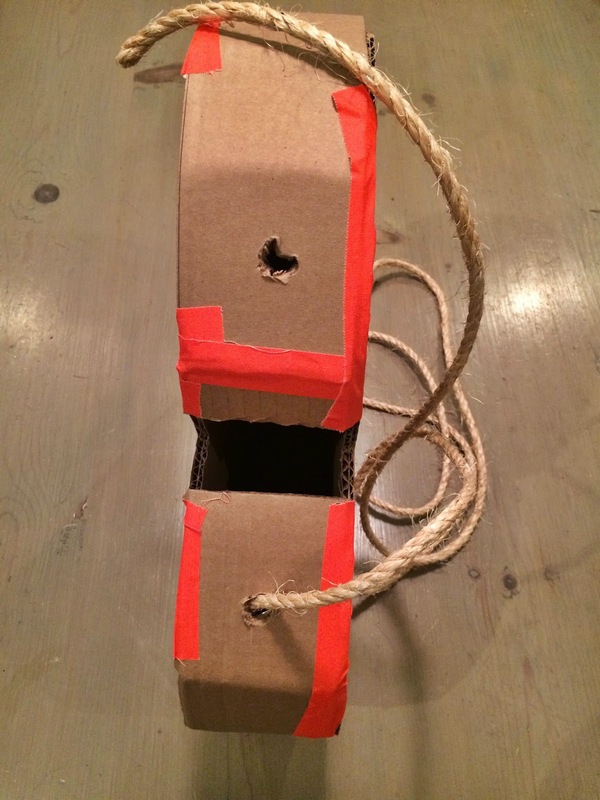 So, puncture two holes at the top of your piñata and insert rope. I just cut the rope to my desired length and pushed it into the holes and knotted. 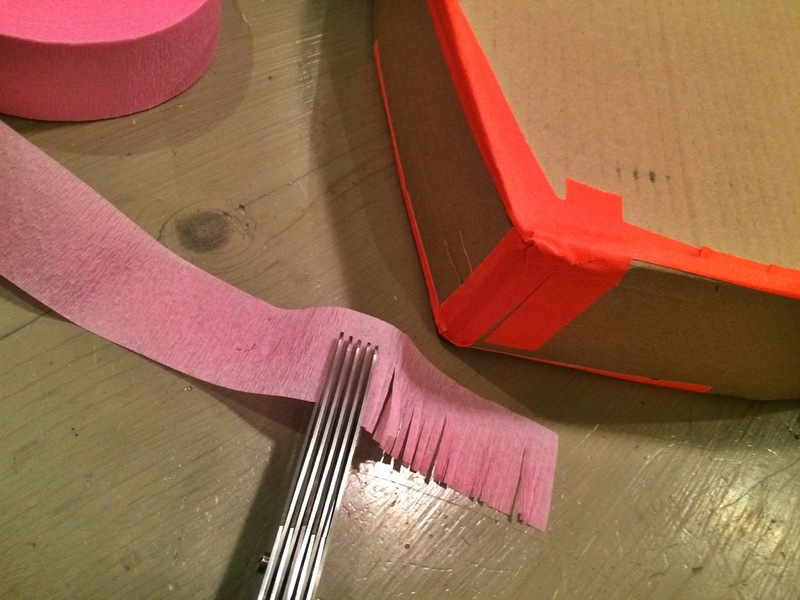 Fringe crepe paper with fringing scissors. 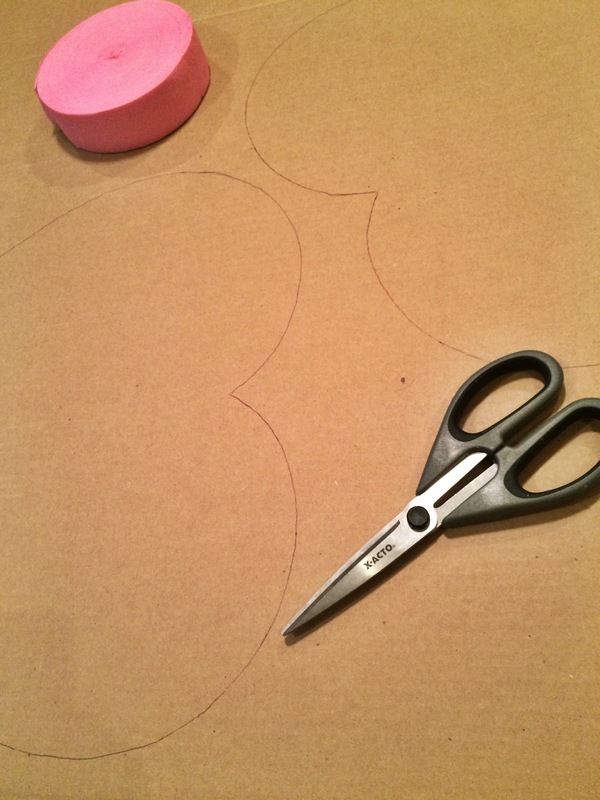 This could be done with ordinary scissors, but I don’t recommend it! You can fringe as you go or fringe a large portion in advance. 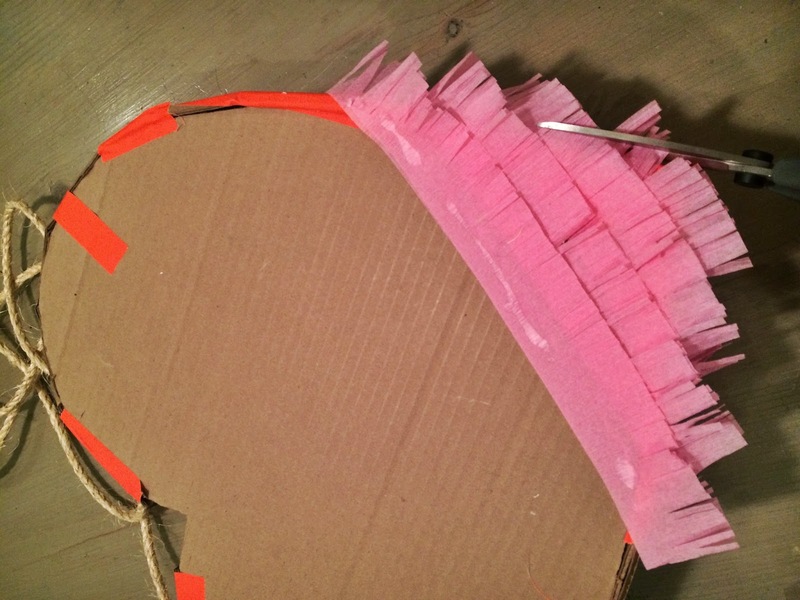 Glue and layer your fringe strips up the front side of your piñata starting from the bottom. 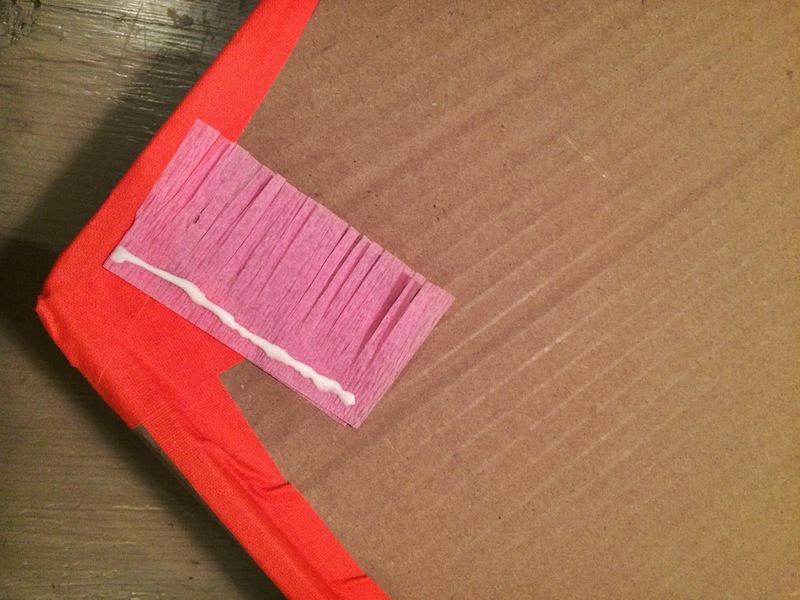 I doubled my strips over to help camouflage the tape underneath. 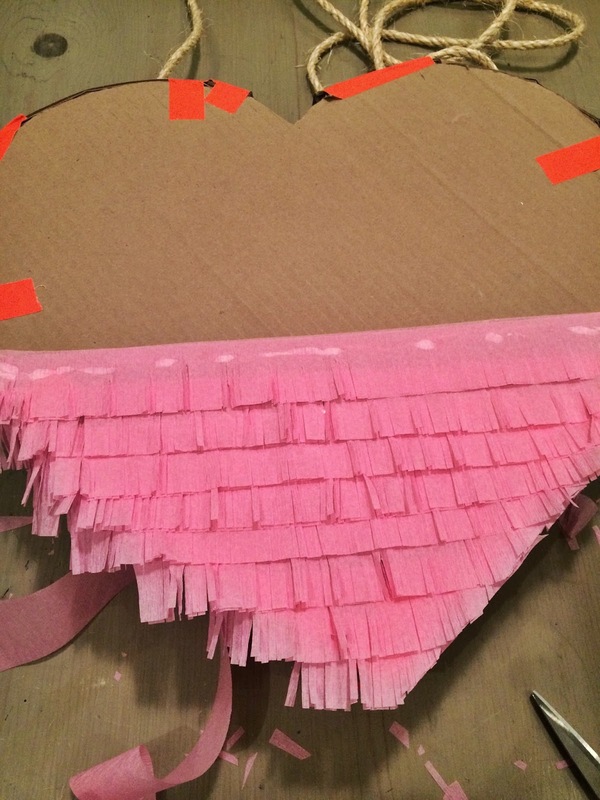 Following the shape of your piñata, trim off excess around the sides. Continue layering until you reach the top. 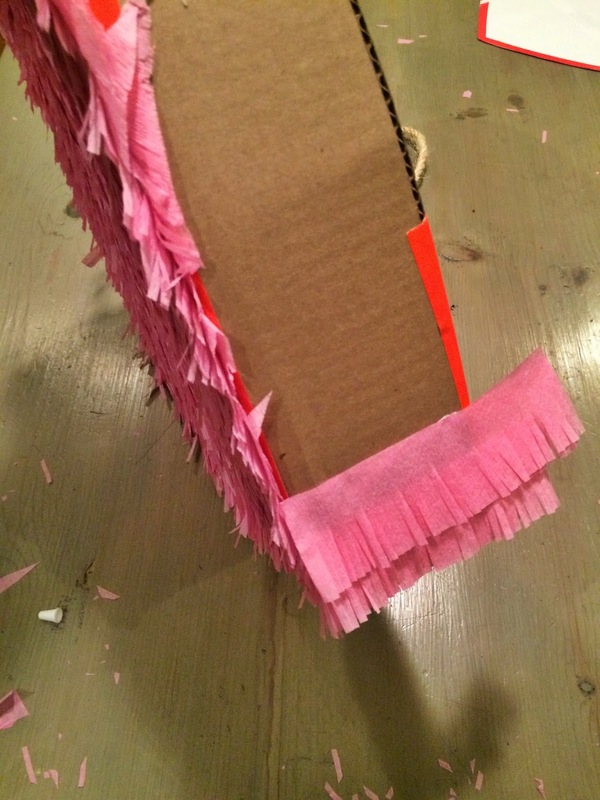 Flip your piñata over and repeat the same process on the other side. You’ll want to use the same technique on the sides. Remember to start from the bottom point of your heart and work your way up. Ok, so this project takes some time to construct. But, it’s inexpensive and I think well worth it in the end. It sure makes my heart pitter patter! 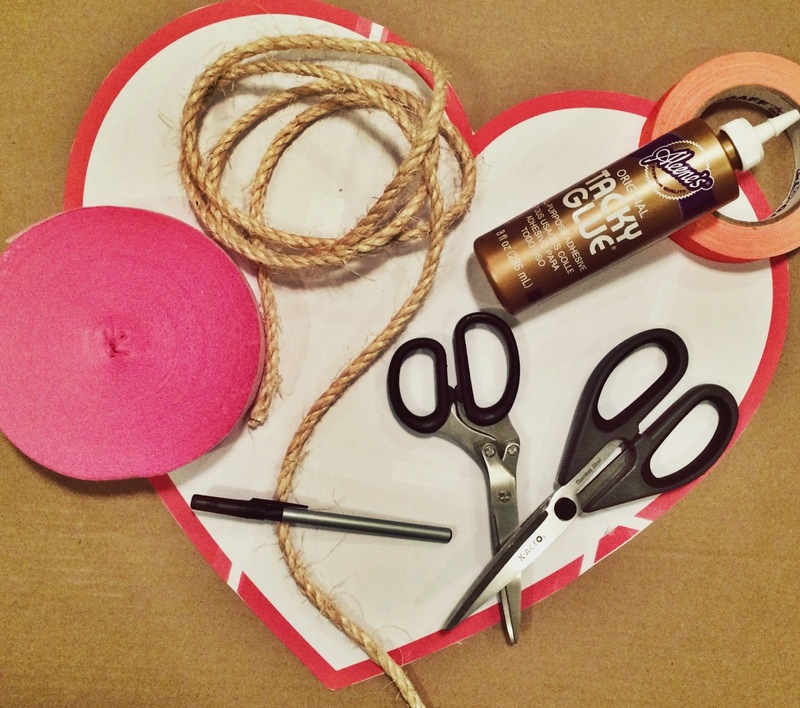 More Valentine’s themed projects to come. Be sure to subscribe by email to stay up to date on all my postings. 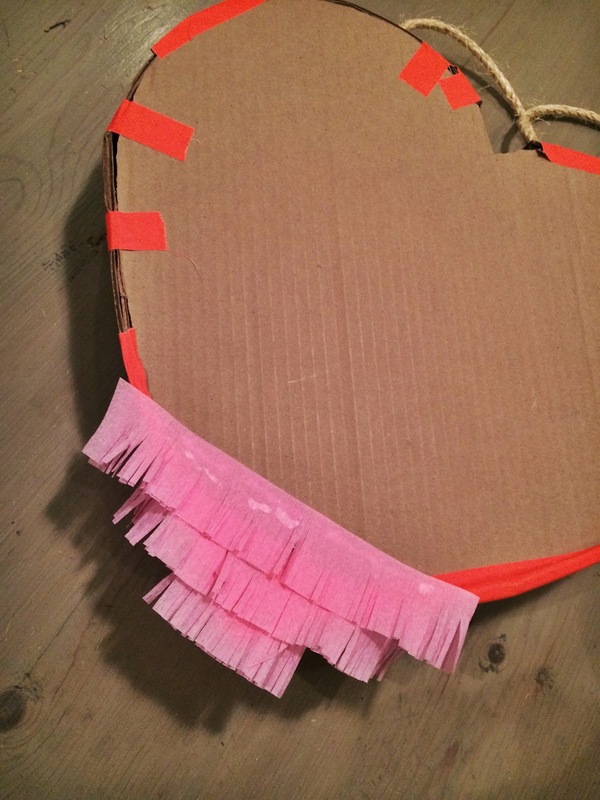 The possibilities are endless when constructing piñatas. Perhaps, a football piñata for the Super Bowl? 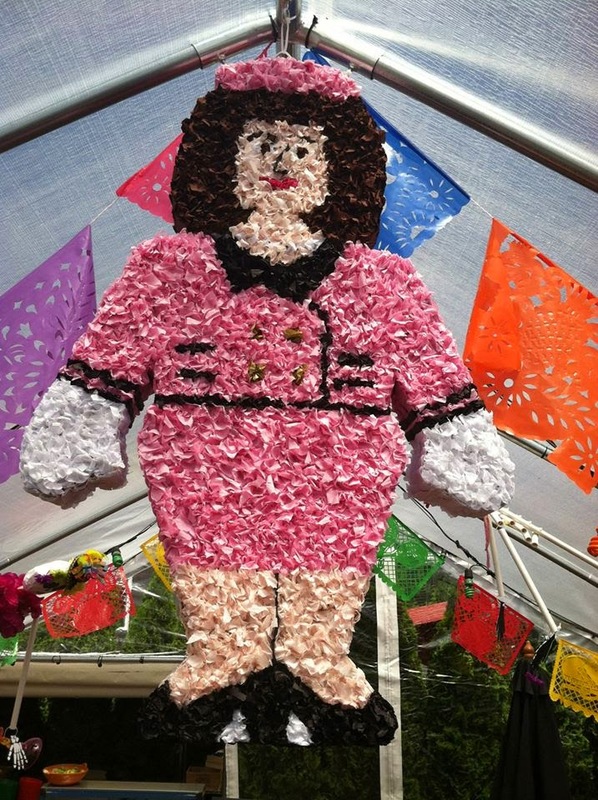 I once created a Jackie O piñata (pictured above) for a client! Although I think she turned out looking more like Cathy the comic strip, she was a big hit. 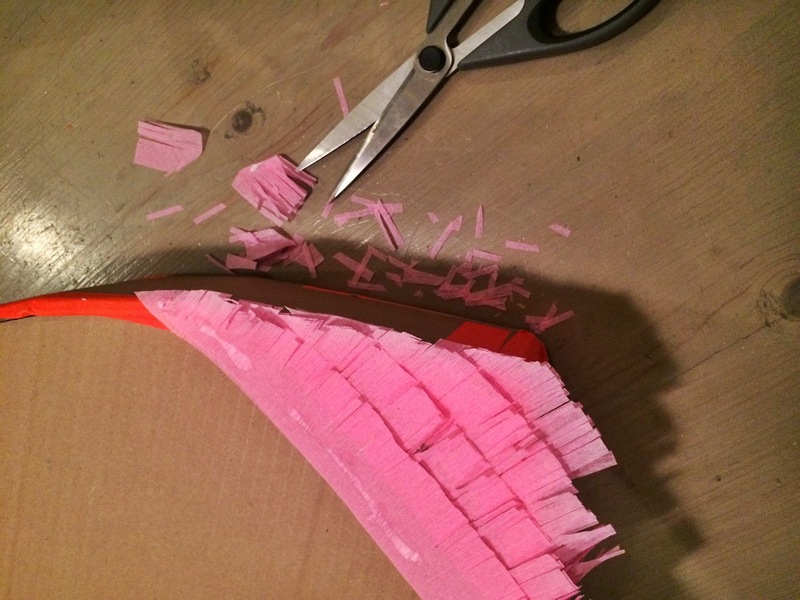 Cute, buying crepe paper asap! Wonderful! Please send me a picture when you make yours. Very cute! Love! Love! Love!